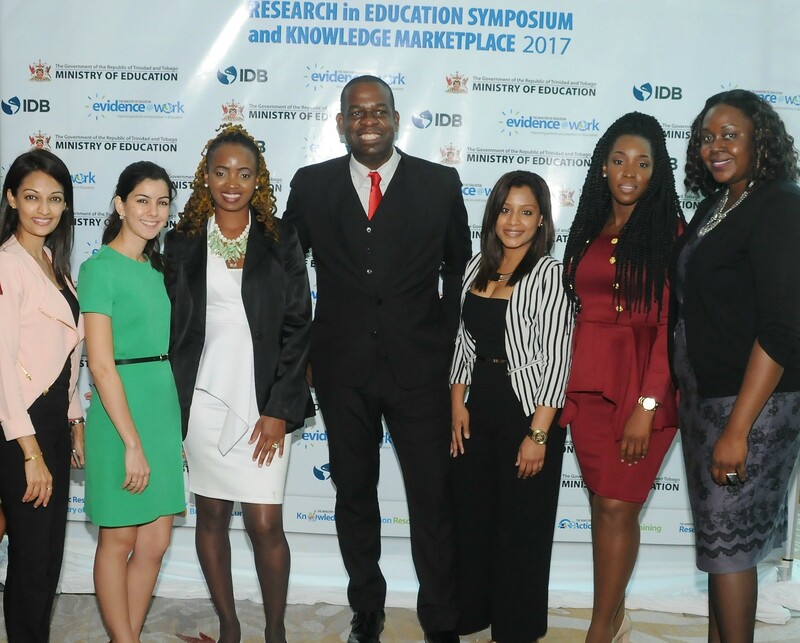 Call it pure coincidence, fate or luck when the Technical Cooperation (TC) team at Trinidad and Tobago’s Ministry of Education (MOE) picked up on an INASP tweet that was trending on evidence-informed policy making. Several Skype conversations later and guest presentations at a Research in Education Symposium & Knowledge Marketplace in Trinidad and Tobago (T&T), here we are reflecting on a partnership that isn’t about to expire anytime soon. Instantly, we felt that our ancestors must be tech-savvy folks working overtime to boost our social media networks because the connection to INASP and its work felt real, timely and familiar. INASP spoke a language of evidence use in developing countries that resonates strongly with the work of the MOE’s Inter-American Development Bank (IDB)-funded TC team. In 2014, the TC team was established out of the Programme and Projects, Planning and Management Unit (PPPMU) to manage the MOE’s utilization of IDB grant funding valued at USD$902,050. This grant, one of the IDB’s largest sums extended to a developing nation, was specifically negotiated between the IDB and the MOE for the main purpose of supporting “The Enhancement of the Education Strategy” in Trinidad and Tobago. In its design, the allocated grant resources were channelled through three major components: i) Education Development Systems Research; ii) Research and Development Capability Strengthened; and iii) Comprehensive ICT for Education Strategy finalized. Under the strategic guidance and “buy-in” of the Ministry’s senior officials in particular, Mr. Harrilal Seecharan, the Chief Education Officer, the TC team began having conversations with key practitioners, researchers, subject-matter experts and policymakers in order to understand their data needs and use. 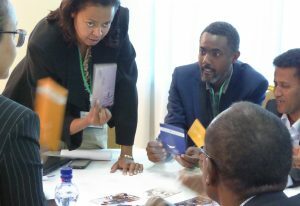 To further bridge gaps and build capacities, technical assistance in the form of additional networks, resource personnel and advice were extended by Dr. Sabine Rieble-Aubourg, Education Lead Specialist, IDB Washington. 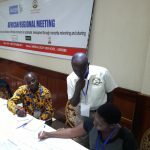 As the TC’s capacity-building and resource-leveraging activities increased in momentum and visibility, engagement among a wider pool of school supervisors, teachers, principals, academicians, researchers at Tertiary Institutions and other key stakeholders grew. At the core of this engagement, we believe that there is an urgent need for practitioners and planners in education to be informed and most of all, ‘evidence-informed’ so that we move away from designing and implementing projects that we “assume may work” to those that “actually work”. Although the MOE is still learning this language of ‘evidence use’, our team is committed to mastering it and leaning on the best practices and lessons learnt of organizations such as INASP within developing contexts. Our means of inspiring and institutionalizing a new culture, attitudes and practices towards the use of research and data in education required us to “think and act outside of the box” and strategically reflect on our approach and activities. If you were to casually visit the TC team at the PPPMU on the 12th Floor of Education Tower A, you would be greeted by a small, close-knit group of tenacious individuals who are all passionate about channelling their diverse skills, experiences and abilities into building capacities, leveraging additional resources and generating new products and services in education. There’s no doubt that there is something authentic about the passion driving the work of the TC Team. Perhaps, it is a shared worldview grounded in persistence, value for people and hope for better days ahead. In whichever way we chose to define this worldview, there’s no doubt that it keeps on growing and being interlaced among Team members as new threads of ideas/research, stakeholders, resources and opportunities arise. 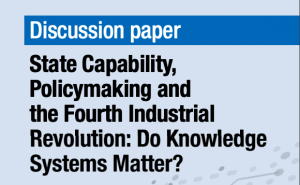 In this vein, we have continuously examined our stakeholders, as well as their needs and interests as it relates to being engaged in new knowledge, data and capacity-building activities. 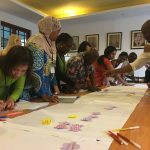 Between March 2014 to August 2017, our team therefore designed and rolled-out a series of research-focused initiatives that raised the visibility of “evidence at work” and pulled key practitioners/stakeholders into spaces for increased networking and dialogue on prioritised issues in education. Our Team further convened a Research in Education Steering (RIES) Committee chaired by Dr. The Honourable Lovell Francis, Minister of the State in the Ministry of Education, to mobilize additional technical expertise and resources towards the development of the MOE’s Strategic Research Agenda (SRA). In addition to these activities, the TC team has facilitated studies such as a T&T Education Sector Diagnosis and Statistical Analysis of the Performance of T&T in key examinations in addition to, the survey component of the Government’s 2016 National Consultation on Education. The TC Programme is nearing its culmination with a final project – a Skills Audit, Training Needs Analysis and Organisational Framework Design for research and policy capacities and workflows. It is expected that the findings generated from this project will prescribe changes in procedures, practices, systems and structures so that, existing resources can be better re-organized and deployed to support strategic research and decision-making in education. Although the curtains are closing for the TC programme, our team is presently working towards ensuring that key outputs are taken up and institutionalized among Divisions. The finalization of the TC programme does not signal an end but rather, a transitory period at the MOE with greater challenges and higher expectations as preparations for an Inter-American Development Bank loan – The Education Advancement Programme (EAP) are in the pipeline. As our team is expanding into somewhat new ‘loan’ territory, we will continue to lobby for increased capacity-building and knowledge-transfer activities under the umbrella of a Strategic Research Agenda (SRA) for education. Following our Twitter exchange with INASP we have met up and exchanged ideas on how to continue to strive for the use of knowledge in T&T’s education policy making.